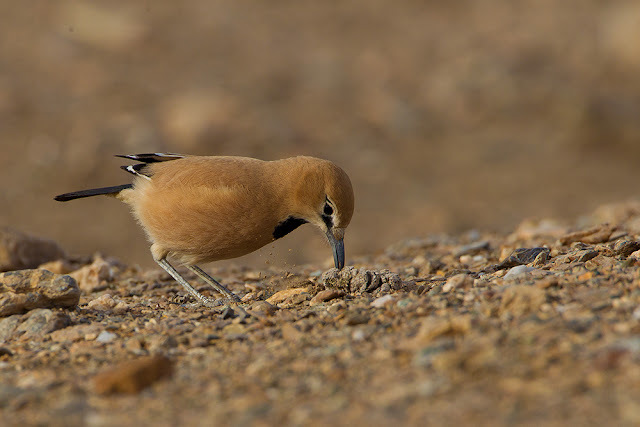 Zaaqe bour (Persian ground jay or as Iranians say, the blond crow) is a type of bird living exclusively in the Lut desert of Iran and has been presented as Iran’s national bird. This bird is from crows’ species but moves mostly on the ground and flies less. Even while feeling danger, this bird prefers running fast to flying, although knows how to fly! Zaaqe bour has an interesting sound and a light yellow-brown color, in harmony with the color of the desert. This little bird has two long legs (considering their small body), suitable for running fast on sand and between bushes and a curved beak helps them to dig the ground and search for food. This bird primarily eats insects and seeds and they store their food under the ground. They are dependent to Qich bushes (a type of wild plant found in Lut desert) and make their nest on these bushes. Although they are territorial birds, they usually are not afraid of people. Zaaqe bour has been adapted to desert climate and ornithologists have introduced this species as a bird which is endemic to Iran and can not be found anywhere else. That’s why this bird is presented as Iran’s national bird. You should be lucky to see a Zaaqe bour in Lut desert, because it is a small bird that can not be easily noticed on sand. If you are obsessed with the birds and you like to see different birds of Iran, “Uppersia” is here for you to arrange and operate bird watching tours. "Zaaqe bour" looking for food with its long beak.